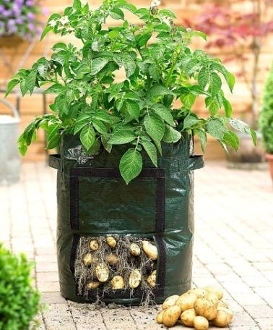 Fill Potato bag with Supergrow compost. Place five tubers into compost in a bright frost free location. As tubers start to grow and produce green shoots, add in more Supergrow compost. Water and add in One Liquid feed. This bag will produce up to 2 stone of great tasting home grown potatoes. So simple yet so rewarding!